Many people welcome the opportunity to top up their pension payments with some casual work from time to time. We have been ‘on the road’ getting on for nine years and we have stopped several times to enjoy a new challenge and earn some extra cash. But we believe it is vitally important to only take on roles that you thoroughly enjoy doing. Life is too short not to have fun! Our preferred choice involves caretaking rural properties – usually in remote regions. We love the responsibility to resolve issues as they arrive as well as the solitude and being close to nature. We spent our first stop of 15 months looking after 1.8 million acres of remote country in Western Australia’s Little Sandy Desert. This consisted of two adjoining ex-cattle properties that had been purchased by the government as future Conservation Reserves as well as a research site for the re-introduction of endangered native species. 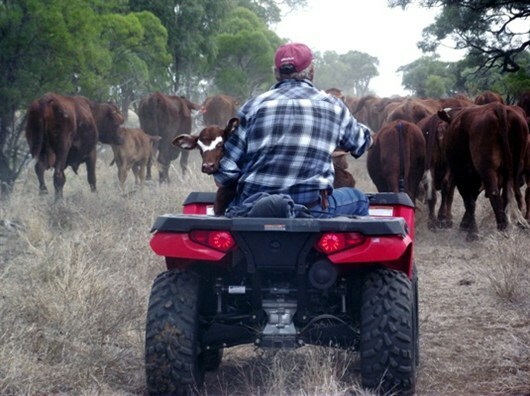 Whilst in WA we also spent five months musting cattle on a remote property for friends who were finding it tough after four years of significant drought. 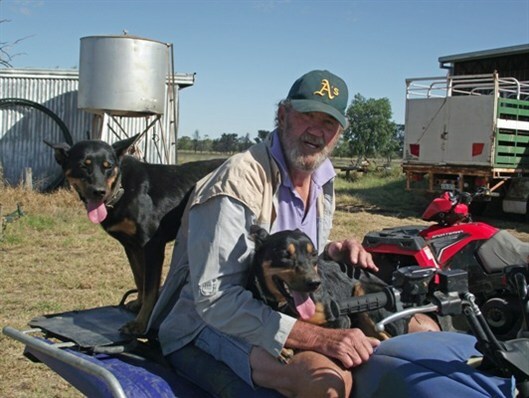 Our next role several years later involved looking after a 27 thousand acre sheep and cattle property for two years in central west Queensland. We enjoyed it immensely. There are many positive aspects of this lifestyle, for example you travel costs in terms of fuel or site fees are kept low and you may also earn a modest wage of $400 – $450 per week, which is usually below the level that will affect your pension payments. Some grazing or farming properties may also supply meat and there is usually plenty of space to grow your own veggies. The work requirements are not at all onerous and you normally get to manage your own time and work load. It is also an opportunity to learn new skills and immerse yourself in a local community. Plus you’ll find that your bank account will stop haemorrhaging money. Having some particular skill is advantageous such as a ‘Tradie’ or a ‘Bean Counter’ but only if that is what you really enjoy doing. Trying a different or unusual role can be both an exciting and rewarding challenge. Do not limit your opportunities with negative thoughts such as “Do I have the skills?” Just go for it, the worst that can happen is a knock back. After a roof fall on our East Kimberley property I spent three months in hospital followed by a long convalescence during which I took up writing to prevent myself from going mad! I did a rigorous programme through the Sackville Academy and paid the course fees with the first article published. My writing now pays most of my diesel bill. Prior to commencing our travels and during my recovery I managed the East Kimberley Shire Elections as the Returning Officer on behalf of the WA Electoral Commission. This was an excellent short- term money spinner. I also ran, on a part-time basis, an Employment Directions Office, providing a one-stop-shop for anyone wanting to improve their employment potential. To date we have loved our caretaking jobs and they have certainly enriched the budget. We would love to hear what others are doing to financially support their travels. Particularly those of you who have taken on unusual of off-beat roles that are different from your traditional work experience.